May 19, 2018, Dubai, United Arab Emirates: Moombai & Co Café and Bar introduces its summer festive menu, the Mango Memory. 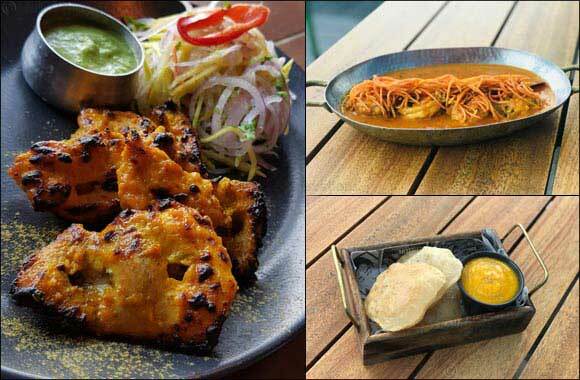 Carefully crafted by a team of 9 chefs, each dish is reminiscent of the various traditionally desi food and drink served in India with a truly Moombai twist. The new menu is a limited time offering, available at the restaurant from the 7th of May until 30th of June, 2018. The menu features starters, mains, drinks and desserts all with raw and ripe mangoes as the base ingredients. Starting at AED 30, enjoy a summer cooler, the Aam[mango] Panna, and a sweet creamy yogurt drink, the Alphonso Lassi. The menu also hosts a snack, the Kairi Karari Bhindi, fried mango and okra fried with Indian spices for a sweet and tangy appetizer. Begin the meal with a Mango Chicken Tikka, a sweet-sour mango marinated chicken thigh served with the chef’s special mango chutney. In mains, the restaurant offers a Raw Mango & Coconut Prawn Curry and a Kairi ki Dal that are recommended to be tried with Dum Ka chawal (steamed rice). Finish your mango manic meal with either an Aamras Puri, the most sought-after Indian dessert of pureed fresh ripe mangoes with Indian puffed bread, Mango Basundi, a thick condensed milk made with sweet mangoes, or a Kaccha-Pakka Aam Tart, a beautiful mix of mangoes and alphonso in a sweet tart pastry served with vanilla ice cream topped with slices of ripe mango and Raw Mango. The entire menu is devices to add a zang of rich flavor to any meal, whether one opts for all things mango, or wishes to add a touch of mango through a single dish to conclude the medley of wholesome Indian flavors. Located on the ground floor of The H Dubai (number one Sheikh Zayed Road) the restaurant houses a vibrant lounge, bar and dining area as well as an adjacent outdoor terrace with spectacular views of downtown Dubai.